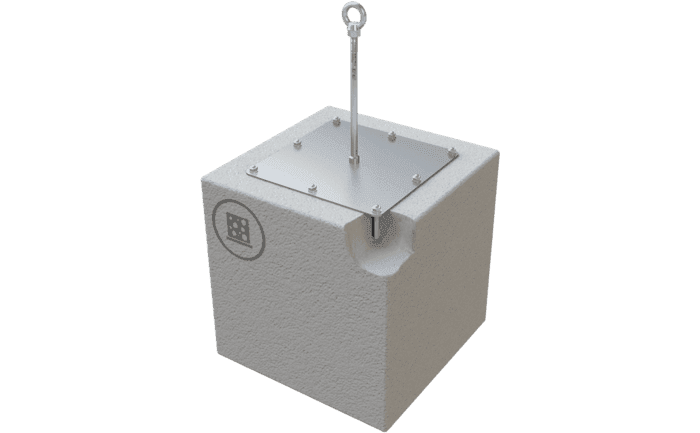 This stainless steel anchorage point (Ø 16 mm) was specially developed with a larger base plate (370 x 370 mm) for installation in lightweight or porous concrete. The 8 anchor rods supplied in the package are cemented permanently into the concrete substructure using special adhesive. Our ABS-Lock X-Y can take a real beating: Simply install the base plate (370 mm x 370 mm) in a concrete surface using the 8 anchor rods supplied and our Special Adhesive WIT-VM-250. 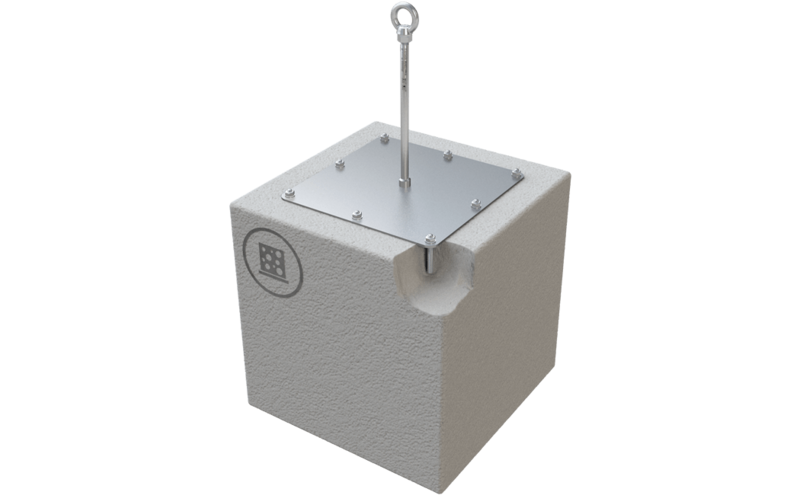 Once installed, the system can provide up to 3 workers with a reliable anchorage option on a Ytong surface (porous concrete). The main pre-requisite is a concrete subsurface with a strength class ≥ P3.3. Our ABS-Lock X-Y is certified for all directions of load once it has been professionally installed in Ytong/porous concrete. Due to its high load-bearing capacity, it not only serves as an extremely reliable single anchorage point but is also a great candidate for integration in a lifeline system. Add an ABS-Lock X supporting tube to your anchorage device for extra stability. Our ABS-Lock X-Y is manufactured from weather-resistant stainless steel material and comes with the set of 8 anchor rods needed for installation. Check out our Accessories section for details on our supporting tube and special adhesive as well as a selection of high quality sealant collars.